Based in Oxford, Oxfordshire. Catering services for private and business functions. 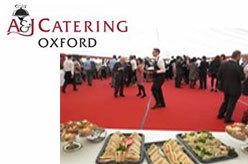 Over 30 years in catering for events, A and J Catering Oxford provides a personal service for every client. Oxford & the surrounding area.